Thirty years ago, members of BRPC saw the need for a safe location for families affected by domestic violence. Since their creation of Friends of the Shelter, the group has contributed over two million dollars to the cause, whose hotline number is 866-685-8881. One of the Friends’ fundraisers has been a fall Author/Luncheon. This year it will be held at Hamilton Farm Country Club on October 23. 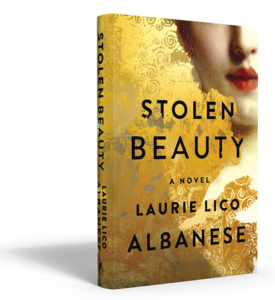 The author is Laurie Lico Albanese who will discuss her book Stolen Beauty, based on the glorious Klimt painting, a subject of admiration, contention and greed. For more information about the event, contact Joan Baer, 908-953-0739 or info@friendsofthesheltersomerset.org.